This course is designed to assist students gain the skills necessary to work with children who need extra support in a child care setting. The course examines the benefits of inclusion, describes the effects of a disability on children’s development and discusses strategies for teachers. 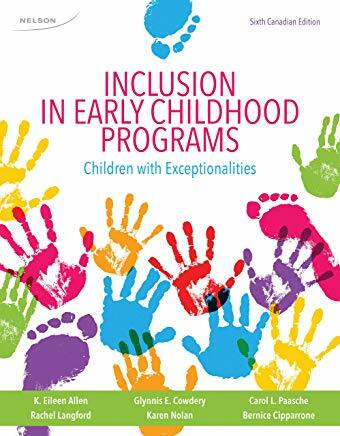 To understand inclusion and its implications for families, children and staff in a child care setting. To become familiar with the major areas of disability that may effect young children. To develop an awareness of factors involved in identifying young children who need extra support. To become familiar with community resources and have knowledge of referral procedures. To develop strategies for expanding and enriching early childhood programs to benefit the experiences of all children.